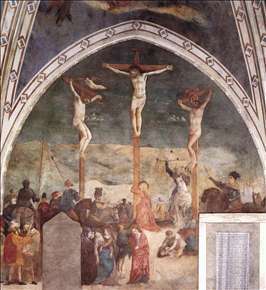 Italian painter. 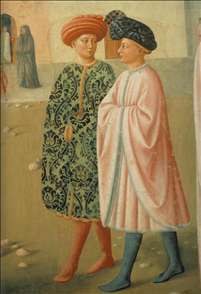 He is generally considered to be a member of the Florentine School, but he travelled a good deal and even went to Hungary. 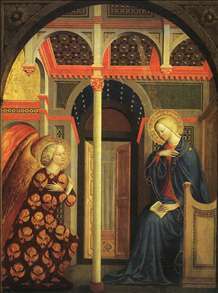 His career is closely linked to that of Masaccio, but the exact nature of the association remains ill-defined. 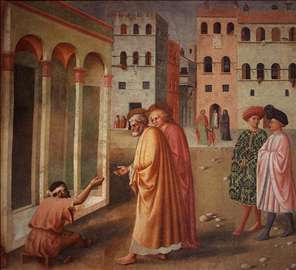 The tradition that he was Masaccio s master is now dismissed, for he became a guild member in Florence only in 1423 (a year after Masaccio) and although he was appreciably the older man it was he who was influenced by Masaccio rather than the other way round. 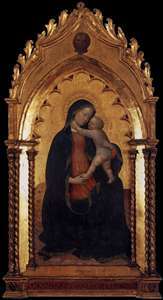 They are thought to have collaborated on The Madonna and Child with St Anne (Uffizi, Florence, c. 1425), but the major undertaking on which they worked together was the decoration of the Brancacci Chapel of Santa Maria del Carmine in Florence. 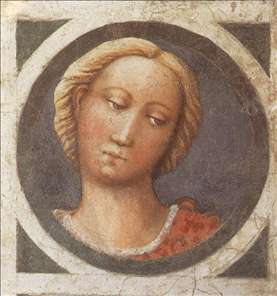 Masolino s style was softer than Masaccio s and there is a fair measure of agreement about the division of hands. 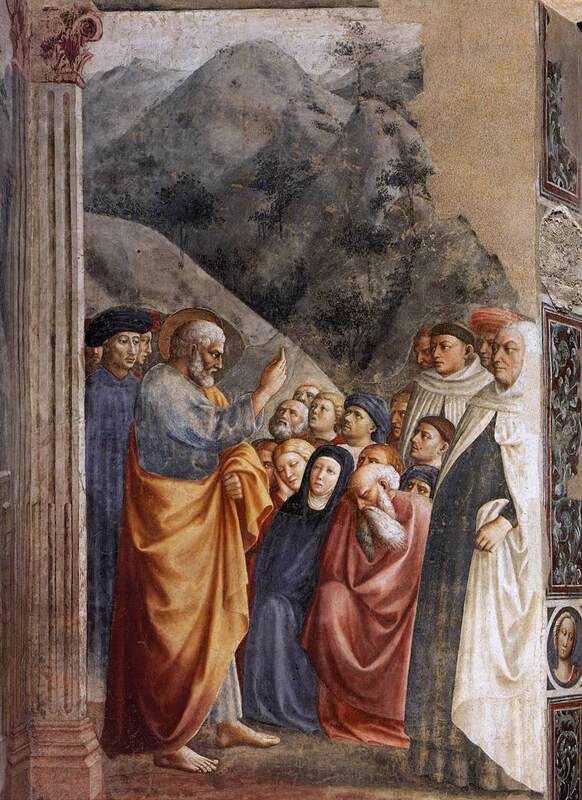 Masolino s contributions, completed between 1424 and 1427, include The Preaching of St. Peter, The Raising of Tabitha, and The Fall of Adam and Eve. 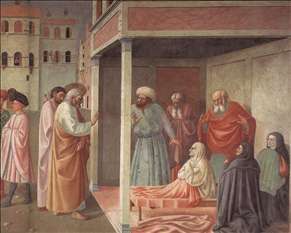 After Masaccio s death Masolino reverted to the more decorative style he had practiced earlier in his career. 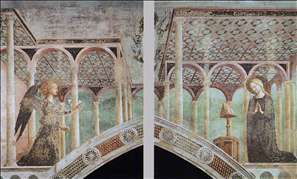 At his best he was a painter of great distinction, his masterpiece perhaps being the fresco of the Baptism of Christ (c. 1435) in the Baptistery at Castiglione d Olona, near Como, a graceful and lyrical work that is a world away from Masaccio s Baptism of the Neophytes in the Brancacci Chapel. 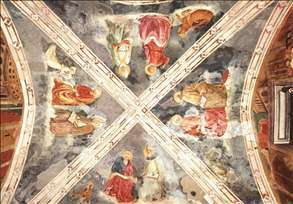 Other important frescoes were done for the Church of San Clemente, Rome; and for the Church of Sant Agostino, Empoli. See more details about "Healing of the Cripple and Raising of Tabatha (left view)"
See more details about "The Healing of the Cripple and Raising of Tabitha "
See more details about "Medallion"
See more details about "St Peter Preaching"
See more details about "Healing of the Cripple and Raising of Tabatha (right view)"
See more details about "The Evangelists and The Doctors of Church"